Apartment Therapy recently did a wonderful round-up of homemade literary-themed Halloween costumes for kids. (Seriously: dig the Alice costume from the Misha Lulu blog!) I do love book-related costumes, but I'm not so great with the whole homemade thing. The Dorothy and Alice costumes you see under the blog title? Thank you, big box store. 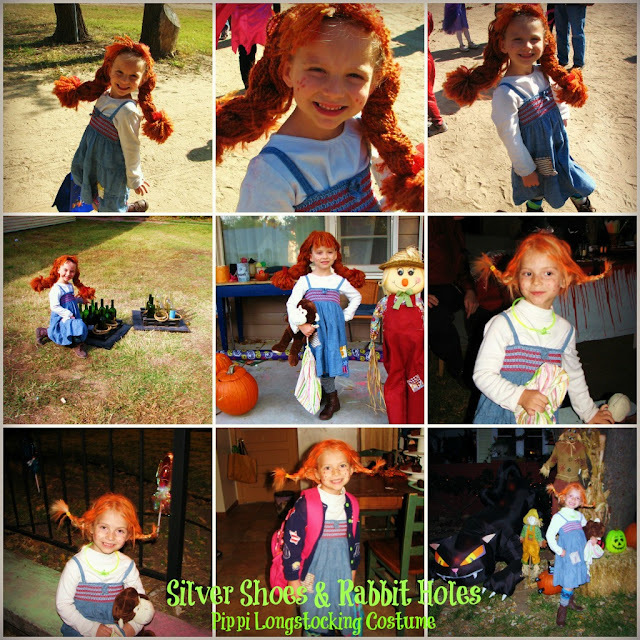 But this is what we did last year: Big Sis was Pippi Longstocking. Because we seem to go to many events that require a costume, the wig my mother made for her didn't last. Lucky for us, we had orange hairspray on hand, a prize she won at a birthday party only a couple weeks before. I'm still pretty proud of this costume, so I thought I'd show it off! I LOVE IT. 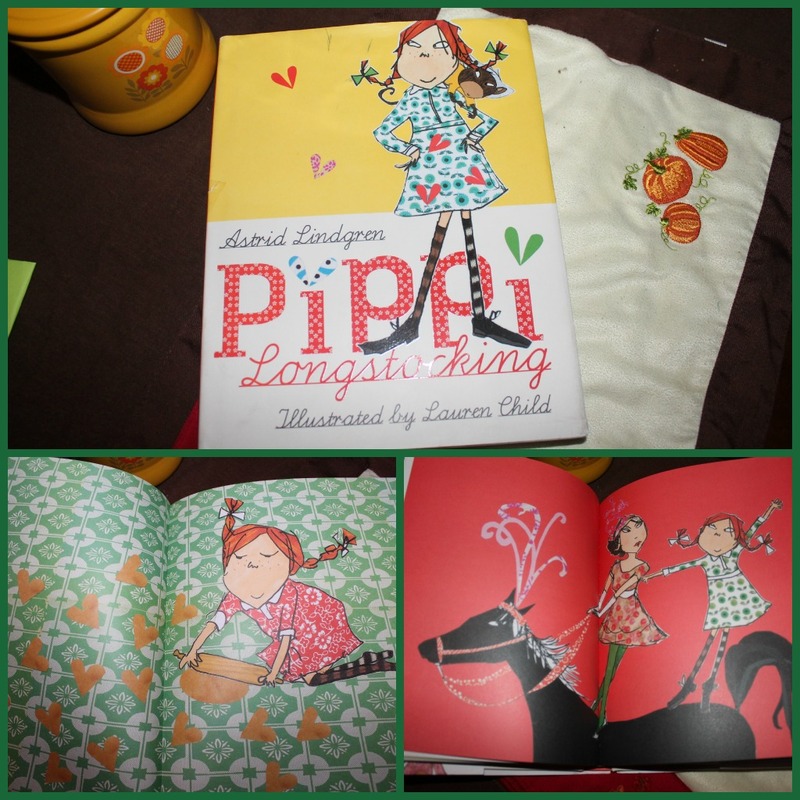 I'm reading Pippi to my daughter right now actually. Oh, awesome! More kids need to know Pippi. She's timeless! omg. this is THE CUTEST costume ever!!! even better than the Raggedy Ann! Oh I love it! I just found the Raggedy Ann doll's pinafore. I'm so glad - we're having our Raggedy Ann party next weekend, and I wanted my big doll fully dressed for the party! I love this costume! I always wanted to be Pippi when I was a kid. Thank you! I think I did, too. At the age I discovered Pippi, though, everyone wanted to be a "punk rocker" for Halloween. I think that was my costume for 3rd and 4th grade.